CVR Performance Products manufactures high quality electrical components for the performance market. Pit Stop USA is The Online Motorsports Superstore! We feature Oil Accumulators at low everyday prices. Pit Stop USA is The Online Motorsports Superstore! 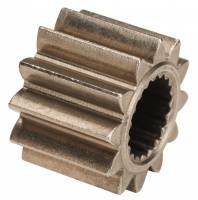 We feature Oil Pump Drive Shafts at low everyday prices. Check out the Recently Listed Starter Components. Pit Stop USA is The Online Motorsports Superstore! CVR Performance Products is a heavy-duty electrical manufacturer. CVR Performance Products goal is to manufacture the highest quality electrical components for the performance market. CVR Performance Products machine shop is tooled with the latest CNC machining centers, which allow CVR Performance Products to produce the highest quality electrical components. 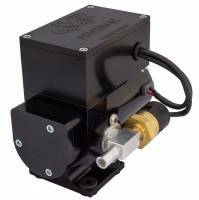 CVR Performance Products plans to introduce a variety of electrical components for the performance market in the upcoming years for drag racing, stock car, high-performance street, dirt track, Harley-motorcycles as well as marine high-performance. CVR Performance Products believes that the development of new products keeps the performance industry alive! That is why CVR Performance Products plans to dedicate all of their time and efforts into improving existing products, and developing new products for the performance market. 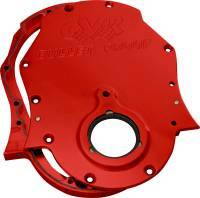 CVR Performance Products Billet Aluminum Timing Cover is a hand polished, rigid small block Chevy T6-6061 billet aluminum timing cover prevents camshaft movement keeping timing accurate. Two-piece design allows camshaft to be replace without disturbing the oil pan seal. Includes bolts, gaskets, seal, cam button and shims. 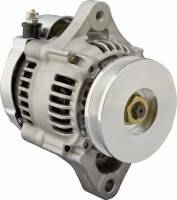 CVR Performance Products PGT Series Directional Vane Rotor-Que Starters are Nippondenso style starters with 1.9 horsepower with a 4:1 gear reduction ratio for exceptional cranking power. compact and lightweight, they weigh just 10 lbs. Unique aluminum housing eliminates hot start problems, easily replaceable plunger and contacts. Starters are coated with gold chromemate to eliminate corrosion and prevent premature failure and sealed with rubber o-rings and grommets. 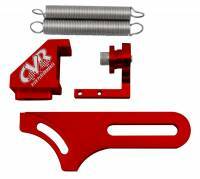 We feature CVR Performance Products at low everyday prices!